My colleague Colin Noyes in Australia has been working on implementing discipleship with a mid-sized church of about 500-600. They’re working on a template based on Colin’s recent series of three books on the subject. 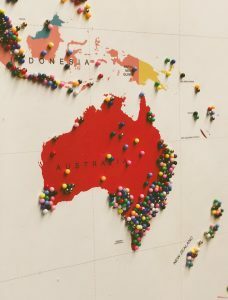 Although believers in Australia are functioning in the context of what Colin describes as a secular pagan culture, his perspective provides us with a glimpse of what the US church will be facing in about the next 20 years or so if current trends continue. As such, I invite you to reflect on his perspective, as I believe it holds important keys for future ministry in the US and around the world. During the 20th century, we made it relatively easy for people to become converts instead of taking the time to make disciples. Making disciples is a fairly lengthy, committed process as we take people from initial connection, to a relational involvement with us and other believers, to beginning to deal with various issues in their lives, to baptism, and into the life of the church. We can start the journey with people long before they are Christians, and through that relational process see them make a connection with Jesus. Discipleship begins with our initial interaction with a person and the journey merely continues as they are gradually brought into a relationship with Jesus and his church. We can walk beside people right from first contact to full participation in the life of Jesus, and we don’t need any other external experts to help us. This approach stands in stark contrast to the 20th century approach of finding someone, bringing them to church, getting them converted (usually through the expertise of a preacher), then having them take a 6-week discipleship class and declaring them good with God for the rest of their lives. Book #1: As You Go… Make Disciples: This short introductory book is written to the average layperson to help them understand that every believer can make disciples, not just paid leaders, and that discipleship starts in the harvest as we naturally connect with people and begin to start making disciples. Book #2: Making Disciples in the Postmodern Era: This longer, more in-depth book takes the reader through 2,000 years of church history and makes an argument for doing discipleship more the way it was done in the 2nd-4th centuries rather than the way we did it in the 20th century. 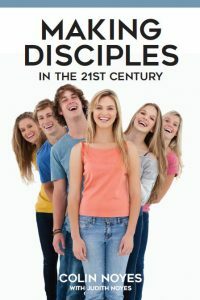 Book #3: Making Disciples in the 21st Century: After briefly summarizing the first two books, this one serves as an implementation guide for how an in-depth, historical discipling process works. What are the stages to it? How can people be involved? As Colin has helped this church implement the concepts, he’s found that the people who have started the relational discipleship process described in the first book have found it to be reasonably easy and really exciting. It’s not complicated getting started, and quite a lot of people have done it. It’s not out of reach for the average layperson. If you want to check out Colin’s books, you can purchase PDF versions for download here: https://resourcezone.com.au/ Note that all prices are in Australian dollars ($25 Australian dollars is approximately $18 US dollars). If you are serious about making disciples of the current generation, I’d recommend starting with As You Go … Make Disciples and Making Disciples in the 21st Century, as together they will give you the complete discipleship journey.